Today, 22nd May 2017, has been a beautiful day, sunshine, cloudless, windless but cold. Quite different to the wet and windy days of the week that was. I accept Cam’s response. 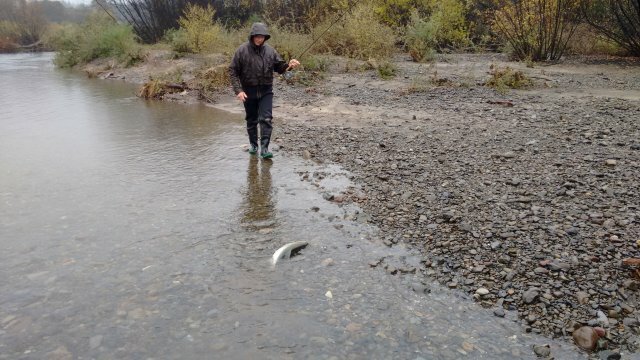 Nonetheless, a couple of anglers were caught at the Island Pool (having crossed the bypass) by the rapid rise with the second spike making the return difficult. With 168mm (6.614 inches) of rainfall since 23rd April the catchment is holding a lot of water and rain is not being soaked up by the waterlogged ground but is running directly into the river so the river stays flooded longer and increases flow rapidly with further rain. 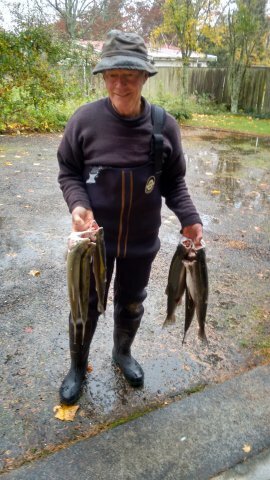 With the floods came good fishing, before and after though not everyone caught fish. 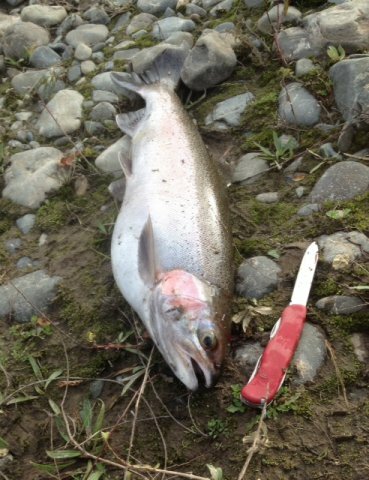 We have no grouds for complaint about either size or quality of fish so far this season. They can only be described as excellent. Will the Tongariro follow the True Right from the Bain To the Reed? It is our hope that it will. It is the hope of WRC engineers. It seems to be making progress and restoring fishing water instead of through the artificial flood channel. 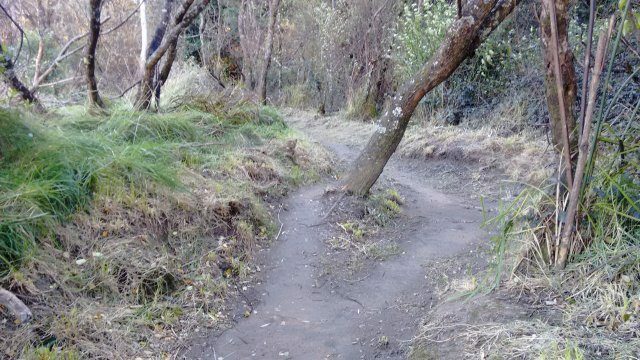 I cycled round the Tongariro Trail a couple of weeks ago and rode through a mass of Wasps on the true right just South of the track down to the Kamahi Pool. There was no warning. I was therefore amused the next weekend to see this sign in the area of the Bain Pool. I spoke with Peter Marks , retired DOC ranger who told me that the wasps will be dead from last nights frost. He also told tat he had killed 23 nests along the river this year. Wasps area significant pest. 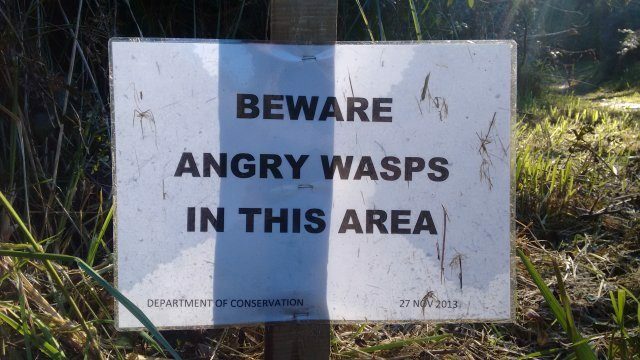 Last year WRC were unable to o river work because of wasps. It seems to me that it is here to stay since last blog. 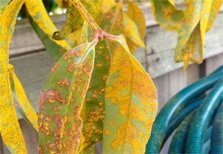 Brenda Lawson DOC Biosecurity sent me these photos after my last blog. It illustrates the danger with biosecurity issues such as Didymo and Lake Snot. Tracks are in excellent condition, possibly the best to date. I congratulate DOC for their work. I noticed the condition of the tracks when not carrying a camera and returned a few days later on the 14th May with a changed vista, trees across the tracks, washouts on the track from flood waters and all the debris from the river and trees. I received this email seeking assistance for the planting site at the Poutu Pool and will assist. 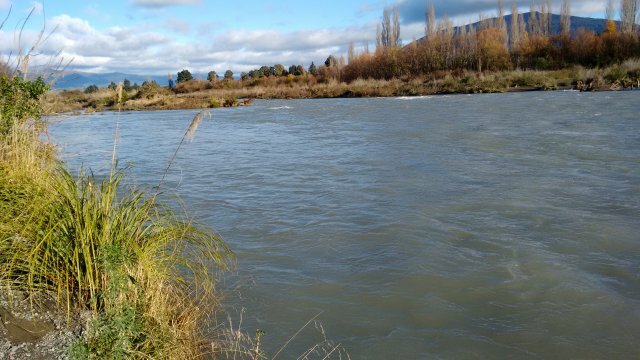 Project Tongariro along with it’s partners has developed a new riparian restoration site beside the Tongariro River, at the end of Kutai Street. You may have seen the signs while walking the river track? We’ve had a first crack at crushing all the weeds, but we now need help dealing to the willows. Can YOU Help?? We’re after willing and enthusiastic people to help out with a morning of work on Monday 29th May, meeting at 9am. The work will involve removing weeds from the base of willow (and other exotic) trees so we can get close to them for control work. If you can come for a morning, please reply email for more details. Thank you to our partners! 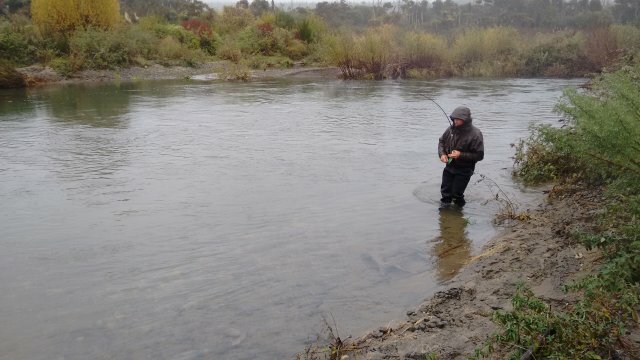 Tongariro River Advocates, Ngati Turangitukua, Department of Conservation and Rafting NZ. This project was made possible with seed funding from Waikato Regional Council. Next weekend is our annual meeting. 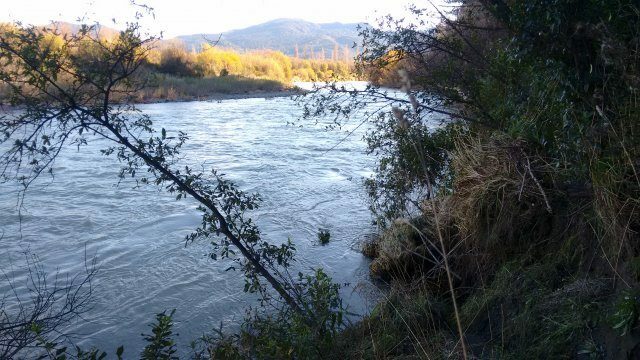 The fifteenth Annual General Meeting of the Advocates for the Tongariro River Inc. will be held at The National Trout Centre School Room on 27 May 2017 at 10.30am. All welcome.